Gramercy is home to the lucky few who live in the shadow of one of the city’s most historic and exclusive parks. Also in Gramercy is picturesque Stuyvesant Square that’s encircled by iron-like Gramercy Park but designed with more of a welcoming vision like nearby Union Square. 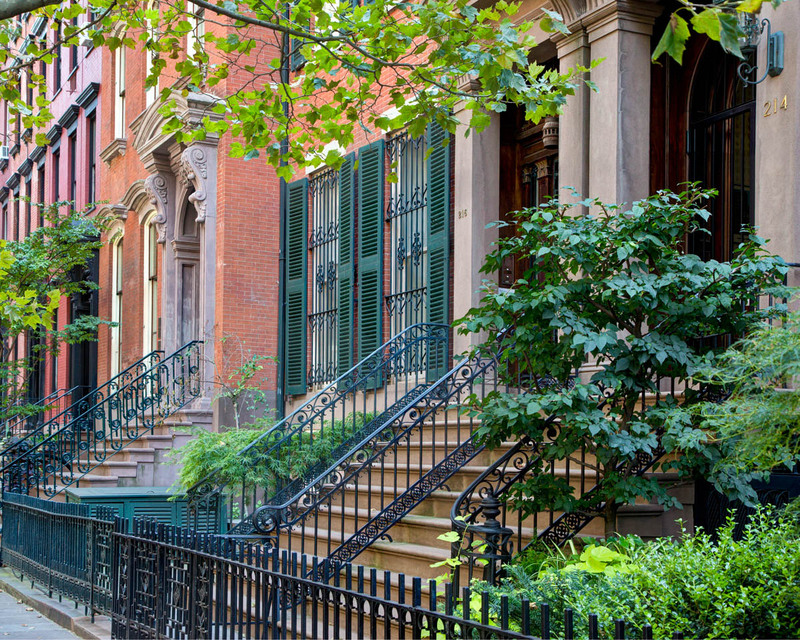 Once the site of a “crooked little swamp,” Gramercy is the ultimate urban oasis, with stately residences, charming tree-lined streets that seem to linger on from one place to the next, and wonderful secret corners that almost seem magical. Once farmland owned by the Dutch, Gramercy is best known for Gramercy Park, the only private park in Manhattan to which residents hold highly-coveted keys. Established in 1831 by developer Samuel B. Ruggles, this neighborhood has hosted many famous writers, artists and actors as residents, including Teddy Roosevelt who was born at 28 East 20th Street in 1858. Honored with landmark status in 1966, two of NYC’s first apartment buildings on Gramercy Park East remain prominent symbols of history in the area. 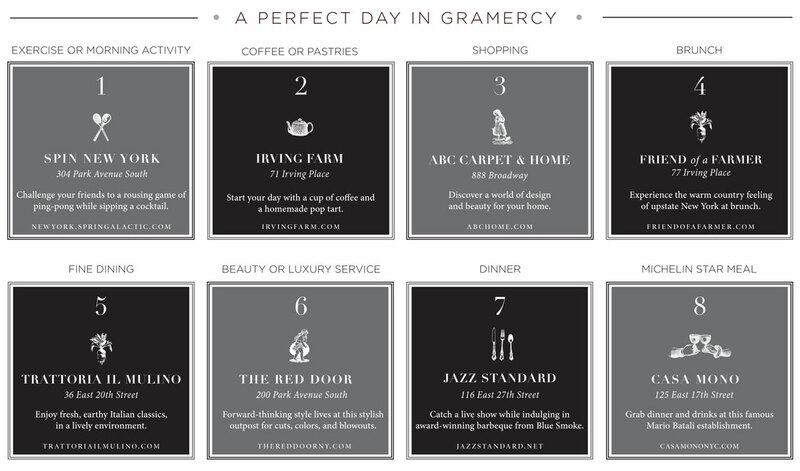 Gramercy’s boundaries include 14th Street, First Avenue, 23rd Street and Park Avenue South, with two-acre Gramercy Park sandwiched between 20th and 21st Streets and Gramercy Park West and East. 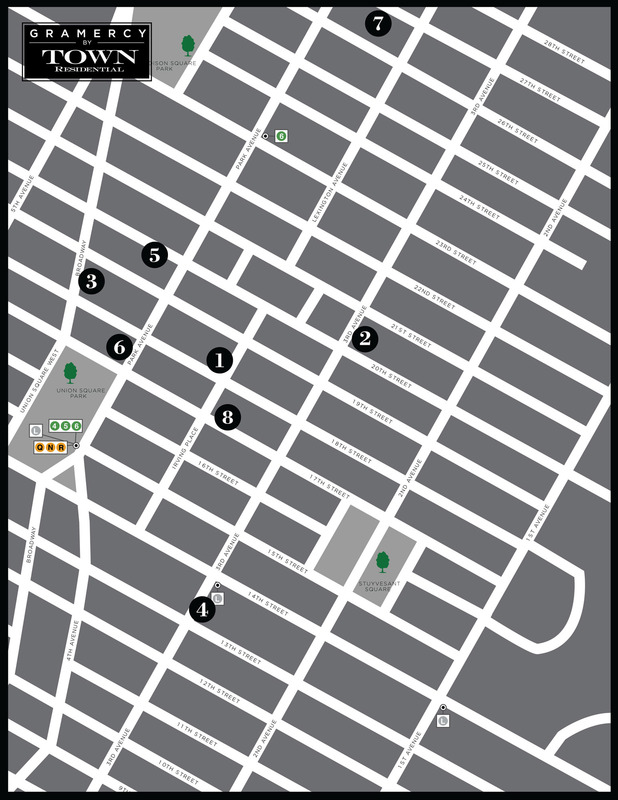 Stuyvesant Square goes from 15th to 17th Streets and Rutherford to Nathan D. Perlman Place. 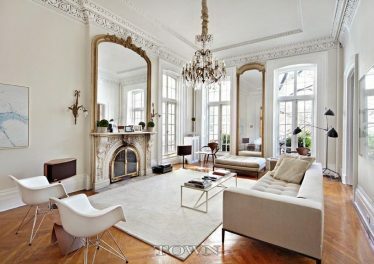 Must-see mid-19th century sites include a 42-room mansion on Gramercy Park South, St. George’s Church at East 16th Street, and all of East 19th Street between Third Avenue and Irving Place known as “block beautiful” for its lush ambiance and exquisitely-decorated townhouses. On Irving Place sits Pete’s Tavern, the city’s oldest surviving saloon. From the modern bohemian extravagance of the Gramercy Park Hotel to Molly’s, one of the most authentically-traditional Irish bars in the city, there is much to do and see in Gramercy.